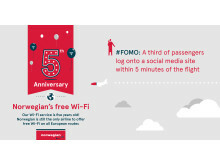 A third of passengers log onto a social media site within five minutes of the flight. 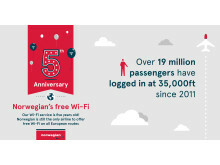 Our Wi-Fi service is five years old! 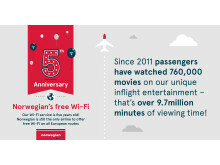 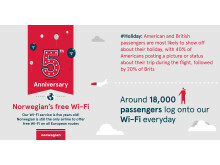 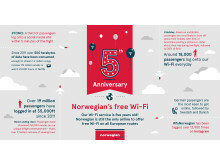 Norwegian is still the only airline to offer free Wi-Fi on all European routes.